Last year, the consumer watchdog group, ProPublica, did a piece on the wasteful and costly practice of drug companies using eyedroppers that are too big. 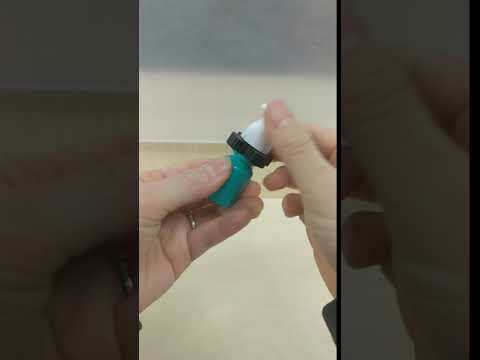 If an eyedropper measures out twice the amount of drug you need (and that your eye can hold), half is going to spill out of your eye and run down your face. How expensive is that tear? If you’re using a $300/month bottle of glaucoma drops, it’s about $5 wasted every day. That adds up. The Shkreli award is named after infamous Pharma CEO Martin Shkreli, who jacked up the price of a common drug about 1,000%. It’s awarded to healthcare companies that value profit over health. As the ProPublica article points out, drug makers already know how to make a smaller eyedropper, or microdropper. They don’t use it because, gosh, patients would need less medication every month. And that means the drug maker’s profits would go down. Or, they could equip the microdropper and double the price of the eye drops. But a competitor with a less expensive product would then get more business. In the end, drug makers made the decision about 25 years ago to stick with the messy, too-big eyedroppers. But now a first-year medical school student, along with peers from the University of Washington (my alma mater! ), has created the Nanodropper. It’s an attachment that fits on a bottle of prescription eye drops. It delivers a much smaller drop into the eye, using about half the amount of drug—but still the amount needed for treatment. The Nanodropper is not yet available. It’s also unclear from the company’s website if it needs to be approved as a medical device by the FDA. If so, that could takes years and lots of investment money. Will the product be sold to the drug makers, or direct to the patient? Will Big Pharma find a way to block its development or sales? It’s a product and story I will continue to follow with interest. While I love the idea that a group of creative and benevolent students wants to manage waste and lower healthcare costs, I’m also a realist. Drug companies and other mega-healthcare corporations are making huge profits, and they will fight to keep doing so.